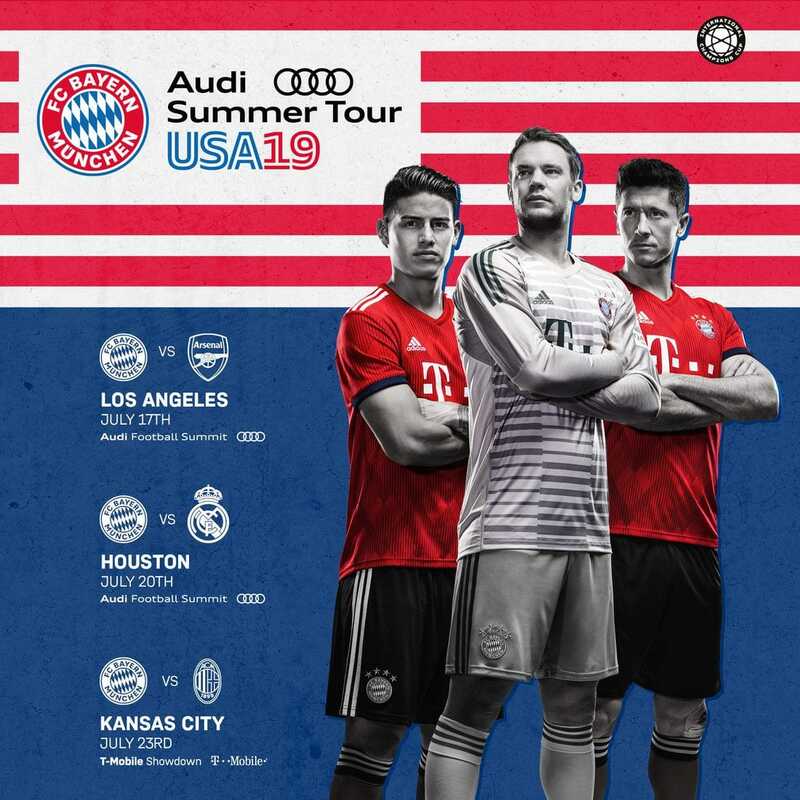 FC Bayern are back to the USA next summer for the Audi FCB Tour going to Los Angeles, Houston and Kansas City! As announced but the club through various media & seen on our Facebook page, we are all excited to learn of our beloved club visiting the US to play 3 friendly games. We have been informed by FC Bayern’s office in NYC that we are given first access and the opportunity to buy tickets in bulk for each of these 3 games. the ticket price will not include Ticketmaster Fees! Attending private training sessions the day before the game, open only to fanclub members, with autographs & selfies with players. Meeting club legends & ambassadors Lothar Matthäus and Giovane Elber + club officials. Not being a World Cup or a Euro year, most of the squad players are expected to embark on the tour. Some may be surprised by the price in Houston for example. Yet it is important to note that Relevant Sports, this tournament’s promoter, is responsible for ticket prices; they are not influenced by the club who have no control whatsoever in the process. Many have asked why the club are not visiting nearby destinations: We wish they did so, but having been in the East Coast & the NYC area twice, and the South East last year, a visit to California & Texas was long overdue for diverse sporting & corporate reasons. As per prior years, there will be no group transportation or special-rate hotels organized. Vielen Dank for your quick responses and your support.